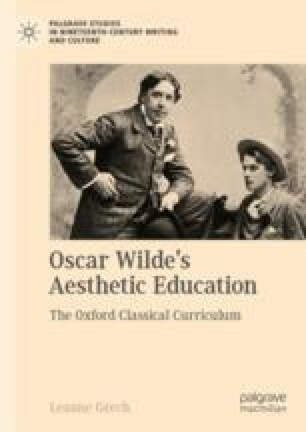 This chapter explores the letters and travel poems that Wilde produced in the 1870s, while studying at Magdalen College. The letters reflect the spiritual crisis that Wilde experienced as he considered converting to Catholicism. The chapter acknowledges Oxford’s historical connection to the Tractarian Movement, which inspired a revival of Catholic worship in England and helped to establish a culture of intimate friendship within the colleges. The analysis focuses on the sonnets Wilde wrote in response to his 1877 tour of Greece and Rome. The poems contemplate the material grandeur of the Catholic Church, but this is complicated by Wilde’s nostalgia for the Pagan gods who were displaced by the rise of Christianity.